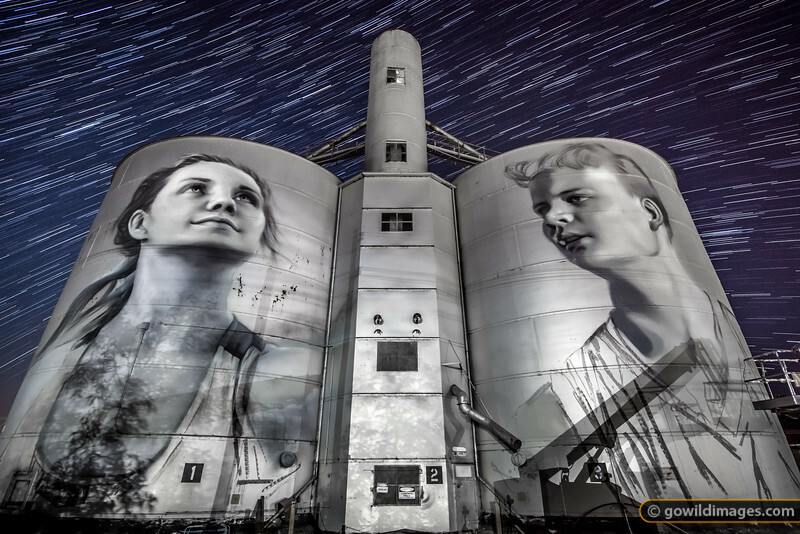 New silo artwork in progress by Russian artist Julia Woolf Volchkova. The locals featured are 25-year-old naturopath Ebony Baker and 16-year-old Jordan Weidemann. The work was completed 12 April 2017. Composite of 30x30s exposures.